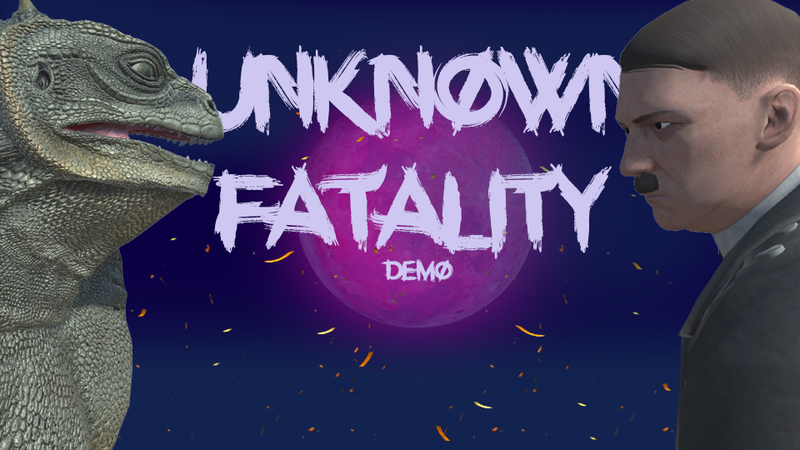 Unknown Fatality is fighting game designed in unity. 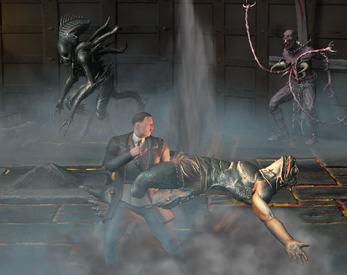 Unique thing about UF is that you can play as HITLER. Yes you heard me HITLER. This is Demo Version so expect bugs, low optimised fps etc. To keep working on this project donations would be so appreciated. Hitler and Lizzard. I was planning on adding new characters but dont have time at the moment. Be sure that new characters will come out!!!! Please leave a comment what u think about game. I took some time to give it a shot. I do think this a competant fighter and as others have said, if you chose to go obscure with characters and just keep going weird and offensive I think it'll continue to be hilarious to play with friends. Hi Jordan, thank you for your review. 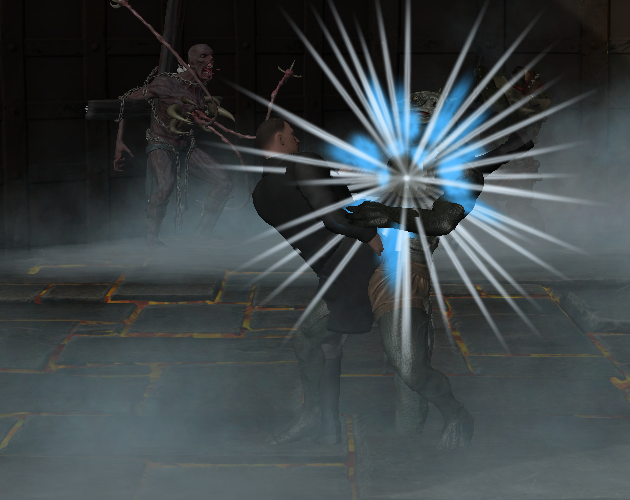 As i said in previous comments, a lot of wierd and fun things will be added to the full version of game. Im really out of time right now. And last, be free to leave negative toughts in comments as well. Honestly, I don't have any major criticisms at the moment as I know it's early. I'll keep tabs and keeping looking at each build though! I will in the future. I just dont have time right now. Hi Brosheb, thank you for playing our game, we appreciate it, and thanks for putting it on youtube. We are sorry that u had to experience bug with animation. We didnt have much time to put into the game, but be sure it will be fixed in the next patch.